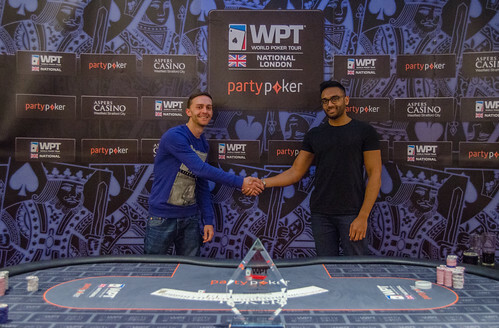 Laurence Houghton WINS WPT National London for £27,500! After a terrific heads-up battle, Laurence Houghton grabbed that big lead, and was never really going to let it go. After a consistent pounding pre-flop to get to a 6:1 ratio lead, Houghton called all-in to see what would become the final hand. Arvin had just 1.6 million (ten big blinds after the blinds popped up before the last deal) and he was behind. The board came out with Laurence home free from the turn, his rail cheering to the rafters as he finally toppled the fantastic Arvin in second place. Ravindran wins the biggest cash of his career, £19,400, in finishing runner-up. Thanks once again for all your interactions, feedback and participation, especially via the Twitter hashtag #WPTNUK, we can see how much you guys have loved the tournament. You’ve all turned the stunning Aspers Poker Room into a fantastic place to play poker and watch poker this week, and on behalf of all the blogging team, thanks for enjoying the ride as much as us! Don’t forget, you can qualify for WPT-National Newcastle on the May Bank Holiday for as little as $1.65 on partypoker. We’ve spoken to players who did just that over the last few hours – and won thousands of pounds sterling. One thing is guaranteed – just like Laurence Houghton’s rail, it’s going to be one huge party! After Arvin took the lead, Laurence’s rail got ever more boisterous, cheering their man on to recover. Well, it worked – he’s just doubled to take a good lead now at heads-up stage of the WPT National Event in London’s Aspers Casino. Min-raising pre-flop to 250k, Arvin got a call and the players saw the flop of , another bet meaning 800k was in the pot. The on the turn created some more action, Laurence leading for 1.1 million and Arvin asked how much Laurence was playing, before calling too. On the river of Laurence instantly shipped all-in and Arvin made the call. Laurence turns over for the turned flush and Arvin mucks, Laurence now doubled to a massive 10.2 million and Arvin sitting behind just 4.2 million. It’s natural to let superstition in on poker. Each man heads-up is in his own world. Consumed by the desire to win, it’s as much a battle against oneself as the opponent – master your own emotions, your own excitement and your mind is clear to focus on the optimal play. cloud your judgement with any external factors and you open up a weak spot for your opponent to exploit. Having dipped behind again, Arvin Ravindran leaned forward in his seat and stared down the next hand. He raised to 500k on the button and Laurence smoothly slid forward the amount. Over a million in a pot pre-flop brings forward the railbirds, it hushes conversation a little, sends people thinking ‘Is this the one?’ and the players feel the heat of the crowd edging closer to the action. As if their actions were being magnified, this hand played out almost in slo-motion, the flop coming . Arvin edged forward 400k, Laurence immediately raised to 925,000 and Arvin called. Nearly three million in the pot. Crowd, that swaying mass, gets closer still, craning their necks. The turn is the . this time Arvin checks. He looks disinterested, as if he’s given up on the hand. Laurence bets 800k into three million, looking to take this away now. Arvin raises all-in! Suddenly everyone think that the moment has arrived, they almost expect the call so much as for it to be awkward for Laurence to fold. But fold he does, to the chagrin of his friends, who turn away from the table. the players ask for a break, but it looks like only Houghton needs one. “Fuming.” is all he says…then Arvin turns over his cards. Two sevens seem to smile as they spin across the felt. Both men have had the lead, and almost as soon as they do have it, it goes in the other direction again. 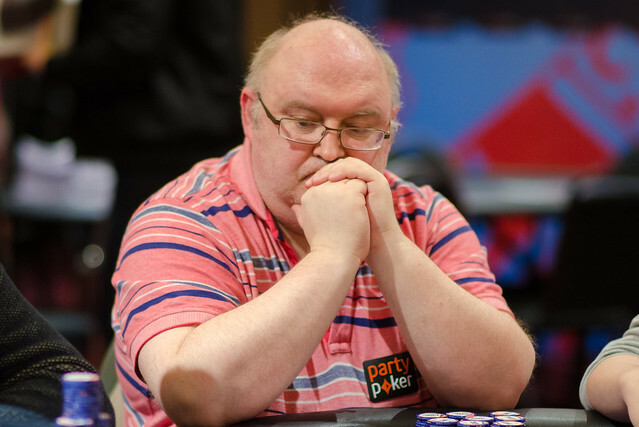 Laurence Houghton was behind going into an interesting one, trailing with 6.3 million playing Arvin’s 8.1 million after some very impressive small-ball raising on the flop ground the lead back to the less-experienced player. With 1.6 million in the pot on the flop, it came . Both players checked, eyed each others stacks and glowered at the other man, waiting for the weakest to look down at the turn. The it was, and Arvin led out 700k, Laurence called without pausing, barely a flicker of emotion behind his every move. The on the river prompted two checks, and Laurence showed – good enough to take the lead back from Arvin. It’s quite a statement, but even across all four days, and by his own admission, Laurence Houghton may just have made “the play of the tournament” here in the Aspers Poker Room at WPT National London. A min-raise pre-flop and post-flop brought the turn on a board of . That was when it all kicked off. Arvin Ravindran raised to 500,000, but Laurence Houghton raised quickly to a million. Arvin wasn’t scared, firing 2.3 million total into the pot. But Houghton did the ultimate, four-bet shoving all-in for 6.7 million. Arvin made a reluctant, agonising fold…and Laurence showed him for the up and down straight draw. “I played it bad – I fold Ace-Ten spades. I should have just peeled.” said Arvin, chewing on the hand as the next one was being played. Laurence now has 9.1 million, Arvin 5.3. Has the momentum shifted in this heads-up duel to the eventual winner? 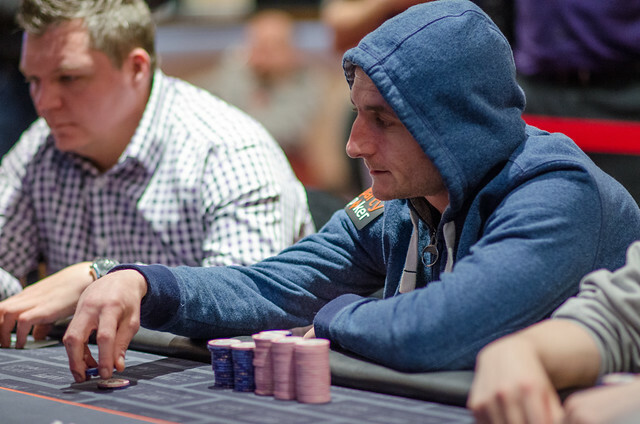 Neither of these players are the type to drift in poker, and so it’s proved in the early pots. Starting with the chip lead, Laurence Houghton put the pressure on early to try to build his lead. On a flop of Laurence bet 150,000, which Arvin called. The turn was a and this time a bet of 275,000 from Laurence was enough to take it away. Arvin fought back, however, seeing a flop in position after Laurence raised with The flop came and both players checked through that and the turn. On the river of , however, Arvin bet 800k. Somewhat surprisingly, Laurence called fairly quickly, showing his eight. 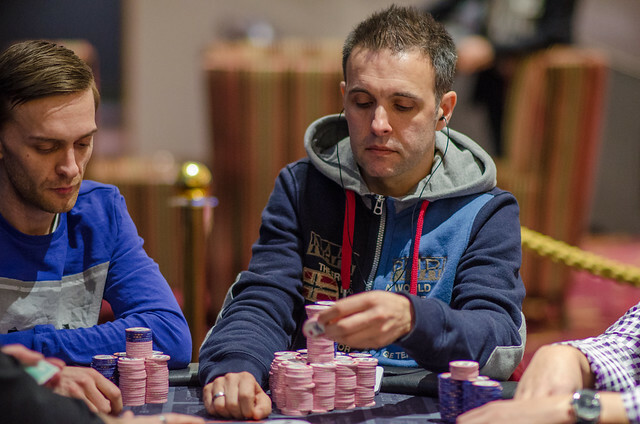 Arvin turned over for flopped trips, and he took the lead with 8.4m playing Laurence’s 6m. In the next hand, Laurence twice called 200k bets both pre and post-flop from Arvin on a board of before a bet on the river made Arvin lay it down. Laurence showed and Arvin gave him a little ribbing. A laugh from Laurence and a smile from Arvin. “I call anything with two suited cards heads-up.” says Laurence. The dealer gets ready for the next fan across the middle ground of the table. The battleground. This is certainly no David vs. Goliath, but there is a distinct difference in the histories of these two players as heads-up gets under way. Whatever happens, this will be Arvin Ravindran’s best result in poker by a long, long way. With just a couple of cashes on the live circuit, he is destined to look back on this weekend with immense pride, maybe even the moment where his perseverance in the game of poker translated into a big result in a huge tournament. 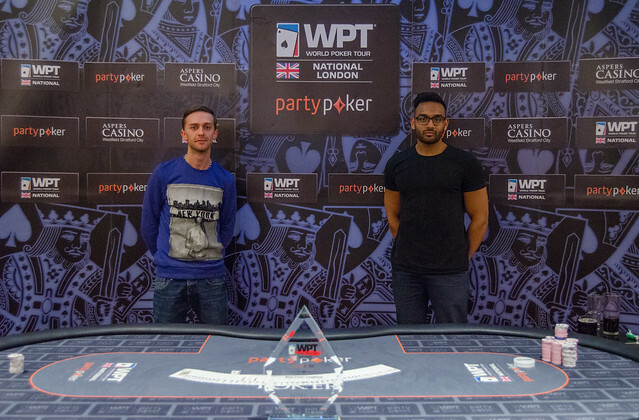 The WPT National Event here in London has lit up the Aspers Poker Room, with the glamour of the World Poker Tour and community spirit between Aspers’ loyal player base and partypoker qualifiers dovetailing like a dream. Now we await crowning only our winner. 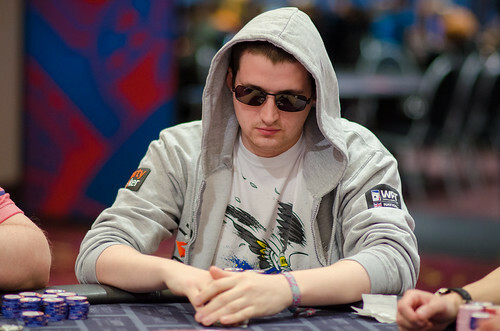 Laurence Houghton has 7.7 million chips and the slight lead over his less-experienced opponent holding 6.7 million. Houghton is looking to progress from being ranked in the top 250 players in English poker history with another title. He has a loud rail cheering every pot he wins…and he admits that he’s “really excited about this.” Arvin is no less thrilled to be here, as he says, he’s “very happy with how it’s gone so far.” How well both men might be so proud, they are now battling for the glittering trophy and £27,500 top prize. 2nd place will be awarded £19,400..but who wants that now? 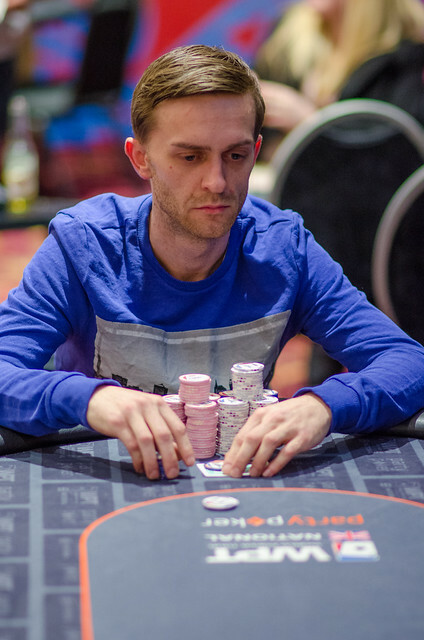 While we await the pictures, chip-stacks and a few words about our heads-up opponents, check out this interview we did with partypoker qualifier Steve Owens, who finished a very impressive 7th place at the WPT-National UK London. Darren Holt (pictured) has just made his biggest result ever, and in a completely standard way busted to Laurence Houghton to send the two remaining players heads-up. With little over 2 million in chips, Holt shoved with J-5 and was called by Houghton’s A-J which held across a dry board to bust the friendly Holt. He’s played every hand in the spirit of the game, loved every minute of his ride and banks £12,500 for a tremendous run in the tournament. Now we just have one titanic battle left. Houghton vs Ravindran – with chip-stacks so close this could be epic. With four players left, a major, major hand has just sent shockwaves around the Aspers Poker Room here in London for the WPT-National event. Pre-flop in the blinds, Chaz Chattha in the small blind raised on Arvin Ravindran in the big blind, with Arvin electing to call. The flop came and Chaz checked. Arvin bet, and the Team Duffy pro made the call. The turn came a and Chaz checked. Arvin made a chunky bet this time… and Chaz shipped the whole lot in. A quick call from Arvin, who thinks Chaz is bluffing. Chaz well ahead with a turned set, and he turns to his girlfriend for support. He just hopes it holds. Maybe he prays it holds. Arvin sits forward in his seat, unable to move. He’s not at risk, Chaz is, with 3 million playing 3.5 million. But Arvin knows this is it. If he loses this pot, his tournament is as good as over. Then it happens. the dealer burns one, turns one and an ace slams down onto the river! Arvin closes his eyes and drops his head in disbelief. House over house. Only an ace would do, with a four meaning Chaz would still have a bigger full house. Two cards could deny him a seven million chip pot, and one of them came in. The chips are passed across to Arvin. The two men shake hands and when the gasps, oohs and ahhs from the rail cease, applause rings out for Chaz. But we can tell, just like anyone could, that though the smile of one of the popular guys at the felt, he can’t hear a single clap – just the rip of the felt when that ace came down. 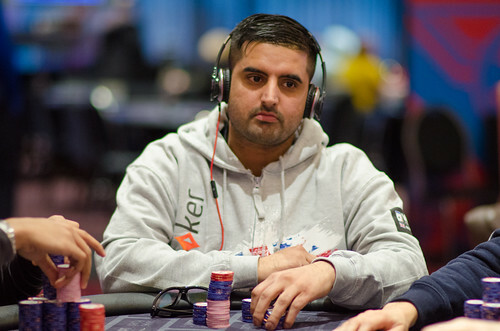 Chaz Chattha’s tournament ends in a glorious, tumultuous hand and in 4th place for £9,300. With blinds now at a frightening level of 80,000 each in the big blind, the pressure is really on to get busy or fall behind. Laurence Houghton is definitely trying to take control of this table…and succeeding in the most part. He has grown the stack of 4.8 million by raising most pots pre-flop or on the flop, pushing Holt off a couple and forcing Gareth to adopt a ‘pre-flop or nothing’ attitude. 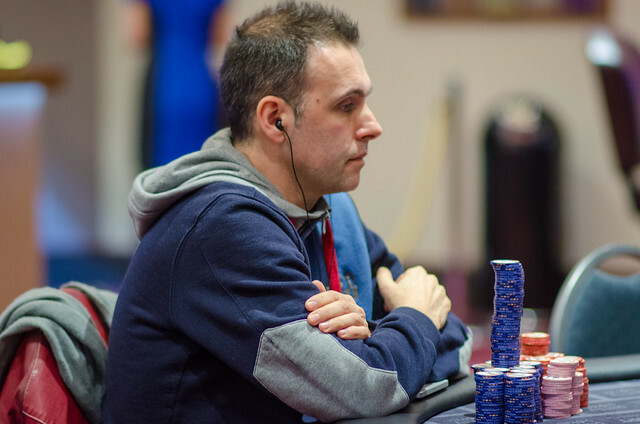 David Gassian’s journey from massive chip leader to finishing fifth has been a painful one – not just for him, an excellent player who just busted but one feels for the whole room. Here was the looming beast at the battle, the immovable object and one player everyone would be heads-up, waiting for whoever challenged him with the biggest stack, ready to attack. 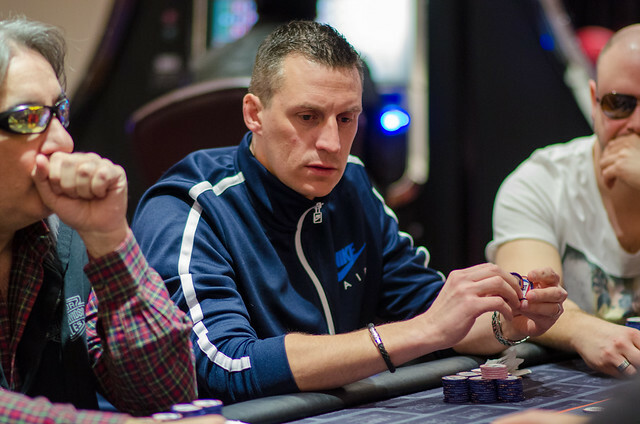 Over the last hour, his whole tournament fell apart, ending in 5th place for just £6,900, with £27,500 a top prize he can now only look up at ruefully on the television screens around Aspers Poker Room. This stunning cardroom has played host to unbelievable drama at times this week, but perhaps nothing as cruel as David’s demise. With every pot he lost, Gassian seemed to shrink in size to his opponents, and through no fault of his own – perhaps that K-5 call apart – the man with half the chips with the infamous five gathered now watches the fab four fight on. He got his last 1.5 million into the middle with but Laurence Houghton called with and the board ran out and David left to applause from all four corners of the casino as his WPT National assault ended in disaster. One thing is for sure – every chip leader has experienced it before, but all of them are good enough to come back. With the stacks so even, talk inevitably turned to a deal. but after players looked at both ICM and ‘Chip Chop’ deals, at least three of the players weren’t satisfied with it, and resolved to play on as things stand. One big hand against a player and talk may be back on, but for now, the game continues as it is… and we can’t get enough of that! For a long time in this final day, David Gassian has been the man to beat. Wielding his axe seemingly at will, he has sliced through a lot of the field, with opponents dropping left, right and centre. Not any longer. In just a couple of hands, his lead has been almost entirely eroded, and without doubt, the first chinks are appearing in his armour as we are five-handed. 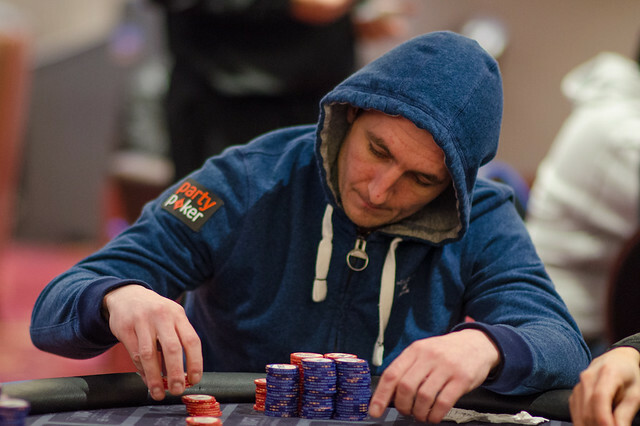 First, Chaz Chattha and Laurence Houghton both peeled off 125k to see a flop with the Frenchman whose adopted home is London…and the live poker felt. 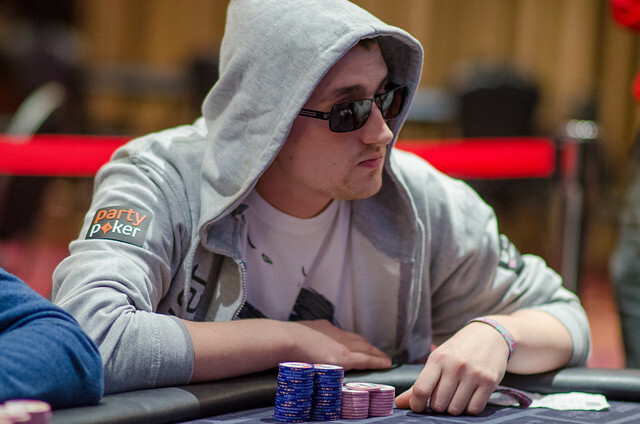 the flop came and Laurence popped in 145k, which Gassian called off, but Chaz raised to 475k! total pressure on both Houghton and Gassian who both folded. 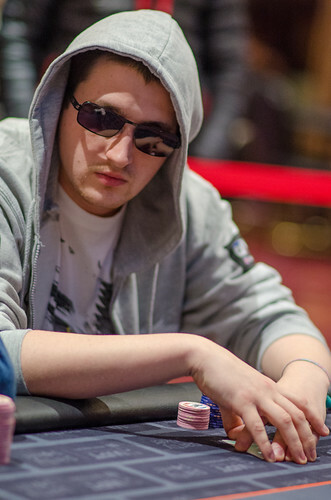 In the next hand, Laurence shoved for 1. million, and Gassian absolutely snap-called him. Holt and Chattha dodged the drama, but Arvin Ravindran tank-folded…Ace-King! When the cards were flipped, it didn’t look as crazy a fold as you might think. “I’m just never up against two other aces there am I?” said Arvin. The board came out to give Laurence a priceless double and further damage Gassian. Just now, Gassian has called a shove from Gareth Holt and lost again! Holt shoved with – Gassian called it off with . 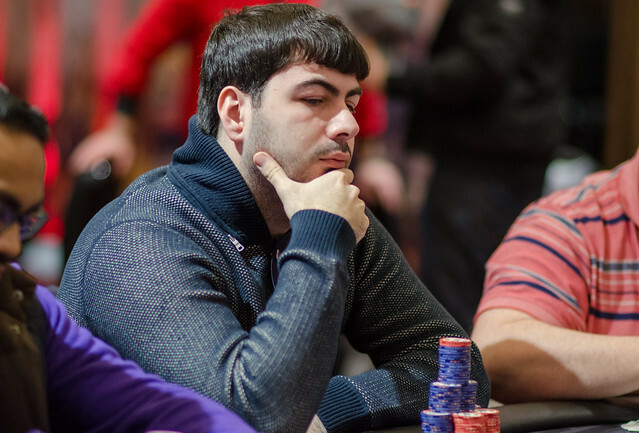 We stop short of calling this a blow-up, but it’s incredible how quickly Gassian has allowed his chip-stack, which looked so impenetrable just thirty minutes or so ago, to disappear. 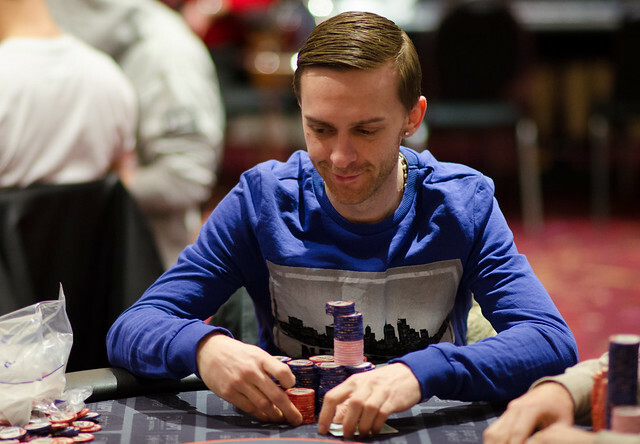 No sooner had Brummitt outlasted the partypoker qualifier field has he gone. In a cold deck situation, once again the blessed David Gassian has both skill and fortune in equal measure and has taken all of Brummitt’s 1.8 million chips. Bobbie and David got it in on the turn after the board has fallen and Bobbie turned over but Gassian held for the flopped straight! Incredible dealing, and Brummitt must console himself with the added £1,000 package to take part in the WPT National event in Newcastle in May. Well done, sir! Laurence Houghton (pictured) has one of the most vocal rails here. They’re not simply loud, either, displaying a fair amount of native wit against the man they’re cheering on (to join them at the bar). Laurence is far too experienced a live player to find it anything other than amusing, of course, and everyone is enjoying the spirit in which this final table is taking place. There may be big money at stake, but there is fun, laughter and excitement on every big hand. It’s how poker should be played. When Laurence got it all in pre-flop with against Gareth holt’s , his friend-group couldn’t resist the needle. “How long did it take you to get a hand in, Thunderbird?” his friends cheer. If they’re comparing poor Laurence with an inanimate being who is motionless until called into action upon which he saves the day and rescues the mission, well…OK, they have a point. 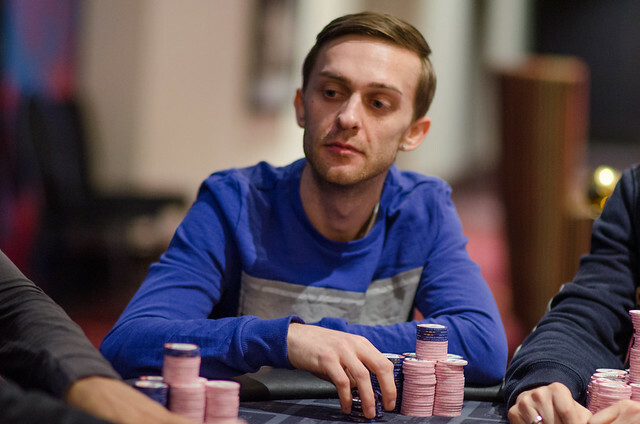 Houghton doubles to 1.8 million through the unlucky Holt, who drops to 800k and short-stack. Steve Owens gave it a tremendous run, but it’s over in 7th place after he ran into a bigger hand pre-flop. Shoving from mid-position with , he was dismayed to see Chaz Chattha quickly call off the required 385,000 and once the blinds got out of the way, Chattha showed and the board played out to send Steve home. As well as Steve winning a handsome £4,610 for coming in seventh, that bust-out means Bobbie Brummitt is our last partypoker qualifier, meaning that he’s won a staggering £1,000 package to WPT-National Event in Newcastle on the May Bank Holiday! 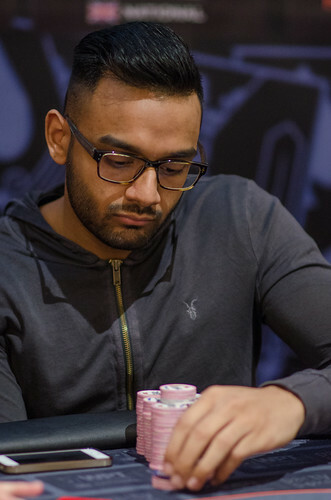 Chaz Chattha (above) hasn’t been too active at the final table, with so many short-stacks around, it doesn’t make sense for those with middle stacks to take risks that might cost thousands of pounds when the chip leader David Gassian is raising most hands. that said, someone has to stand up to Gassian and take a chunk off him, and the Team Duffy pro has done just that. Raising to 110,000 in late position, Gassian shoved from the big blind to pile the pressure on Chaz. With 7 players left, and a top prize of £27,500, everyone at the final table (above) is desperate to get heads-up for the win! Edjis waited for the right time to move here at the final table of the WPT-National UK London event….but sadly for him, fold equity was beyond him and he got called and busted by Arvin big stack. Edjis’ move with was a fine one, but he was only in for 240,000 and that was small change to Arvin Ravindran with . When the board came out that spelled doom for Edjis, but the partypoker qualifier takes home £3,680 for his weekend’s efforts – a great reward for some top poker throughout the four accumulator days. James Mitchell needed to double to get himself back into a seat of power here at the final table of the Aspers Accumulator format WPT-National event…but instead he is heading home. The former Irish Open champion was involved in a thrilling three-way all-in as the final table has burst into sudden life! 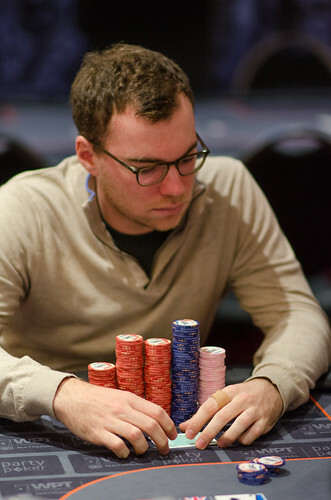 Steve Owens shoved his small pile of chips (250,000) into the middle in early position. Mitchell made the move to isolate by re-shipping in the next seat round, and it was folded by Chattha, Ravindran, Houghton and Gassian. But Gareth Holt called it off, covering Mitchell by just 100,000. The flop was fanned fast from the dealer, and it was a dramatic one. – Mitchell looked doomed as Holt took the lead. But Owens wasn’t dead – a three would give him the ‘wheel’ straight. The turn came a , totally insignificant apart from ending James’ chances, and he stood, ready to squeeze through the massed fans and friends on the ‘rail’, pressed to the velvet rope, straining for a glimpse of the river…which was the ! A jubilant roar from Owens’ fans at his back, and he sighs with relief. He trebles his stack to 750,000, while Holt jumps to over a million chips. The pro, James Mitchell, slinks to the cash desk, a warm clap of applause from Chaz Chattha alone as his fellow professional collects £2,760 for his weekend’s work. But what’s this? Another all-in and call just a couple of hands later…! 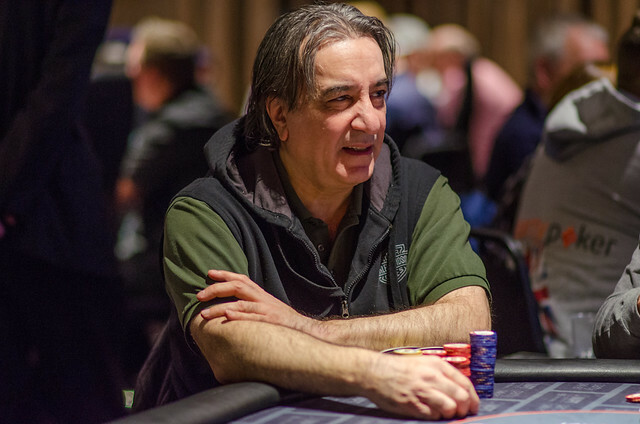 Everyone seems to be settling down again after their meal at Clary’s post-dinner as the final table kicks off, withn the possible exception of the runaway chip leader, David Gassian. He’s been the only person to make a big move, re-raising over Chaz’s open to 85k and Arvin’s raise to 185k to a bumper 425k, which got rid of Chattha and Ravindran pretty quickly. 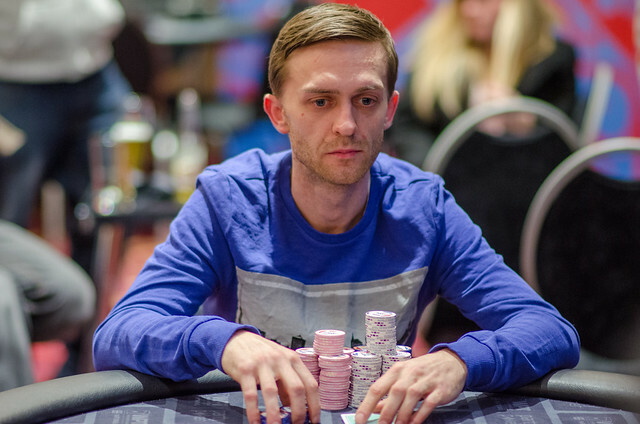 Gareth Holt has got a shove through, as has Edjis Cergars (pictured), but the very same managed to find a fold pre-flop having committed half of his eight big blind stack and he is super-short. Our current level will kick off the final table, with 30 minutes now left on the clock until we enter Level 25. 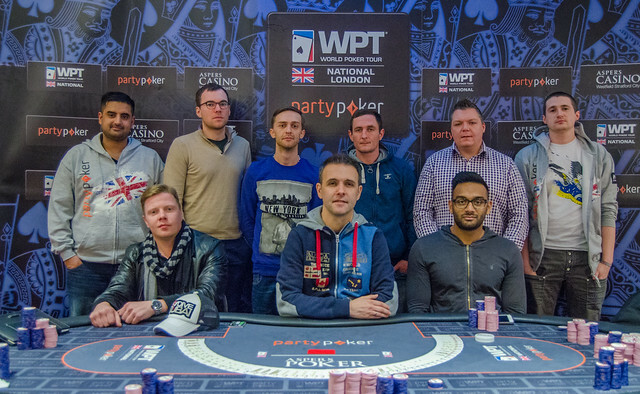 We’ve reached the most crucial stage of the WPT-National London, the final table. With nine players remaining and around £100,000 still up for grabs, there’s a reason why it’s called the ‘business end’ of the competition. Aspers have laid on a meal in the stunning Clary’s restaurant here within the casino itself, so while they relax and enjoy 45 minutes away from the intensity of the poker felt, let’s tell you how they stack up and introduce each of our finalists to you. 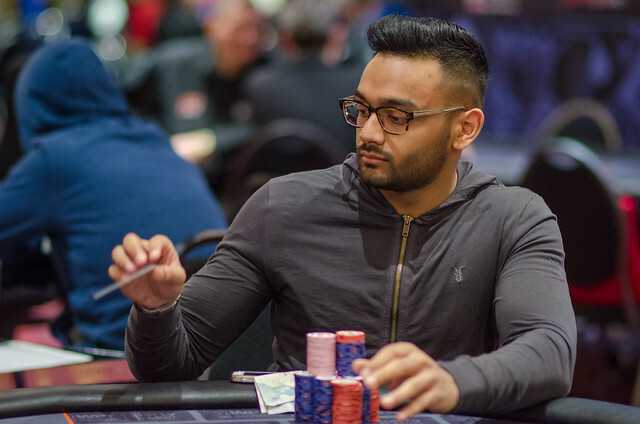 Arvin is well-known to players on the London circuit in recent months, but having only grabbed two live tournament cashes, he’s in line for his greatest cash to date even if he busts first at the final table. That looks unlikely, with Arvin currently sitting second in chips with over two million. He’s played some brilliant, pressurising poker this week and is extremely focused on the win. 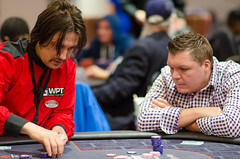 Laurence (left) is one of the top 250 players in English poker history, with a consistent run of live cashes. That said, he’s only had live results three times over the last two years, so this definitely marks a return to form – or appearance – on the live felt. The last time Laurence reached a live final table it was in The Bahamas, so we’re guessing he might ask for the cocktail menu at Clary’s! Our massive chip leader, David (right) has 40% of the chips in play with eight men between him and the trophy. An awesome power at the live felt, David has already won the Winter Classic this year for £12,500…and is looking to win more than double that later tonight. 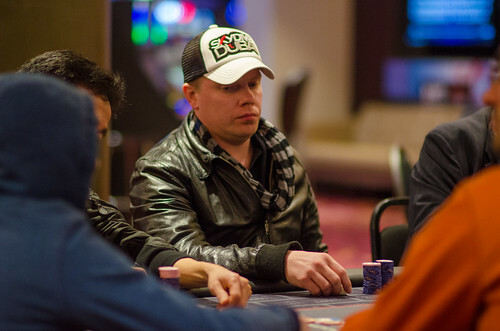 Can anyone stop the runaway train that is our final table chip leader? Bobbie has been involved in drama right the way through this WPT National event. He’s given us some classic moments already, and with a decent stack, he still has plenty of time to give us some more in this fabulous finale! With less than ten big blinds, Steve has a wing and a prayer at present, but he’s shown admirable courage thus far and with a great temperament, should he double early, he will be right back in the battle. Two huge hands on this final day went marginally against him to cost him huge pots…but a chip and a chair is all you need to win! 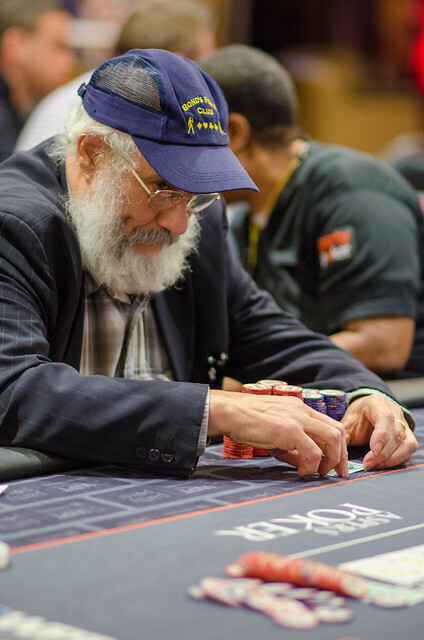 With over $1.5 million in live tournament winnings alone, James Mitchell is one of the most dangerous players you could ever meet at the felt. Having won the Irish Open in 2010 for over $800,000, James is not fazed by anything at this level, and his fearless nature and locked-down table image could be a brick wall for players to overcome… if he can chip up. James only has 13 big blinds, so he’ll need to make a move sooner rather than later…but there aren’t many out there better at moves than him. Ten big blinds and the ultimate desire to win from being one of the short-stacks, Edjis has played some terrific poker this week, flying under the radar to grind his way through the field. There’s no doubting he needs help with less than ten big blinds, but the quiet man of the final table has nothing to lose…and everything to win! Play will resume at approximately 7.30pm. Yilfer Sheveet is known as ‘Mr. James Bond’ to most of the players here. He wears a hat that displays the legend ‘Bond’s Poker Club’, and for three days, any table he’s played at has felt his presence. He has busted to one of the only players who could do it to him, the irrepressible David Gassian. Gassian, already a huge chip leader here at the WPT National Event in London, is now sitting behind the kind of stack that could obscure ceiling fans. Gassian had turned the full house and faded the King-sweat on the river to bust ‘Mr. Bond’ for £2,015. We’re sure that he will return…but for now, Gassian has more power at the now-forming final table than Goldfinger himself. James Finigan has left in 11th after losing to Bobbie Brummitt’s Broadway earlier. His micro-stack went over the line with but couldn’t catch up with and he leaves in eleventh for £2,015 also. Elsewhere around the two tables, Chaz Chattha doubled from 240k to around 520k when his held against Steve Owens’ , the flop coming to see him safely back in the game although still short. Owens had previously lost a cold deck hand when his looked good on the turn against Laurence Houghton’s but was rivered as it came – is that the sweatiest flop ever? – then turn – Flush! – and river … where Owens’ hopes came crashing down to Laurence Houghton’s full house. Incredible. 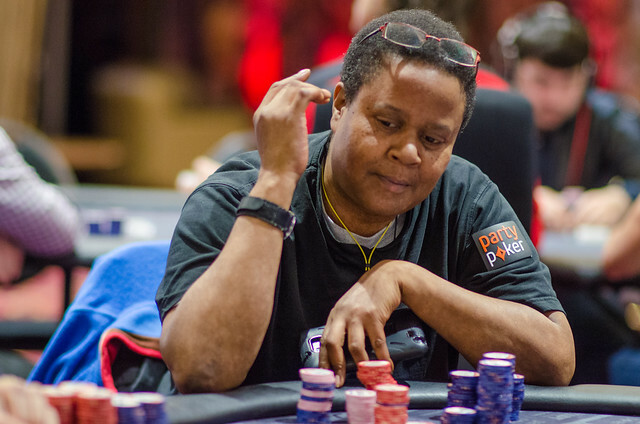 Sandra ‘Jaz’ Reid has enjoyed a tremendous time this weekend, and that won’t have been spoiled by her exit hand, which was when she shoved on the turn with after the board came out . David Gassian called with and the river of saw Jaz go out, the longest lasting lady in the tournament by far. We spoke to her immediately afterwards in an exclusive interview to ask her about her experience and find out what it feels like to win £2,015 from a sole $1.65 buy-in to the original satellite! Bobbie Brummitt has been involved in some terrific hands this week at the WPT-National UK Event in Aspers Casino in Stratford, and that shows no signs of letting up. 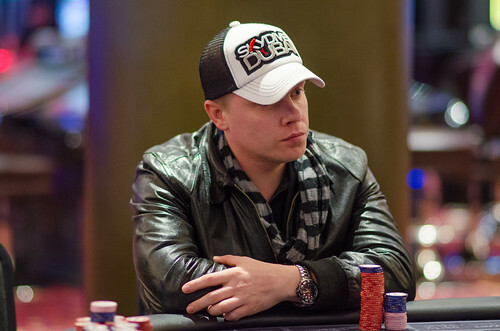 He and James Finigan were involved in a raised pot pre-flop that saw the three cards come out . More action, more chips. The turn card increased the stakes even more after it fell the , but the money went in on the [9d[ river. When the cards were turned over, James Finigan had for a flopped set, but Bobbie Brummitt showed for Broadway, and that leaves Finigan on fresh air. 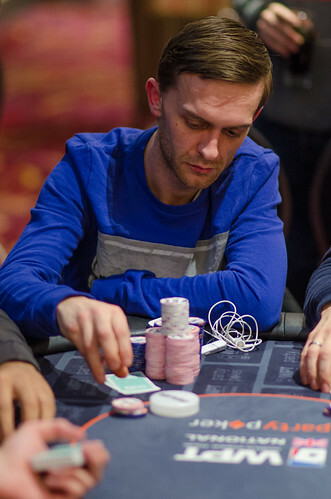 Stuart Nash (pictured) William Diep and Andrew Badecker have all crashed out in just five minutes here at the WPT-National London after running a little short. Will Diep was first to bust of the pair in 15th, when he shoved his pre-flop. Yilfer Sheveet called it off with and ace-high was enough to boost ‘Mr. Bond’ and his stack in this competition at Aspers in Stratford. Stuart Nash left in an unfortunate run-in with James Mitchell. Nash shoved for just 300,000 or so, and with , but Mitchell peeled some pinks from his chip mountain with [A] and that held to eliminate the overall short-stack. Andrew Badecker got it in better against James Mitchell. But it didn’t help him one bit. His last 400k was in the middle with and well ahead of James’ . The board ran out an agonising to bust Badecker in an ironic 13th position. All three recent bustees earn £1,645 for their hard work. While the remaining 16 players were dividing themselves into the appropriate seats, one hand was still going on. As it happened, it turned into the biggest hand of the tournament so far, and one that has changed the direction of the competition in stunning fashion. 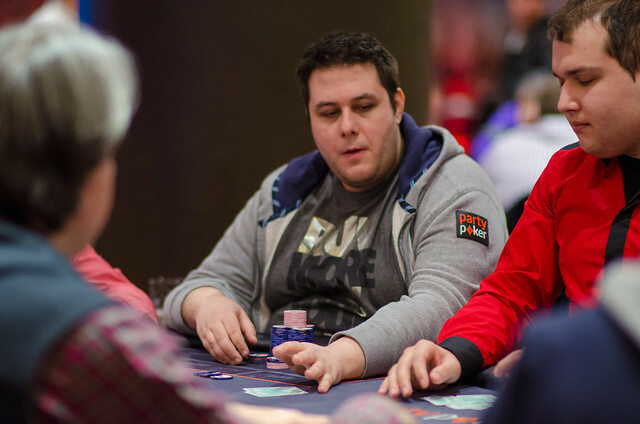 Alex Tsiroudis was fairly chipped up when he made the move pre-flop, and meeting strong resistance in Daivid Gassian, the two attacking players got the whole lot – 2 million plus in chips – into the middle pre-flop. A huge flip, then, and the flop was devastating to Gassian. gave Tsiroudis trips and he was huge favourite to take the pot and the lead. The turn of changed nothing…but the river of the flipped it on its head and gave Gassian a two-outer full house to shift the monster pile of chips his way. 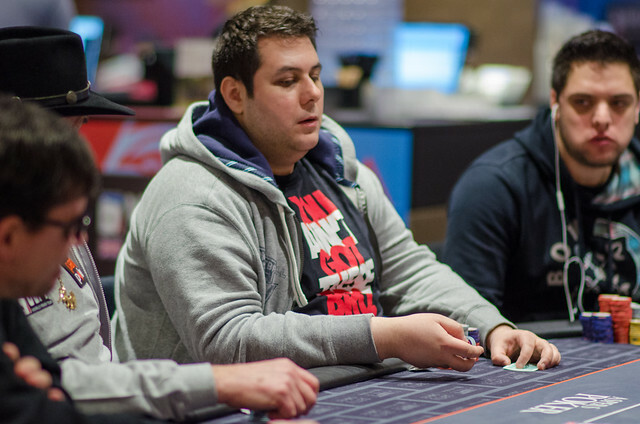 Tsiroudis was one card from the chip lead and instead is OUT of the WPT National Event. Gassian has three million and an overwhelming chip lead. Players are taking their seats stunned by that miraculous/disastrous river depending on who you were rooting for! In little over an orbit of the three remaining tables, we’ve lost three more players as we move down to just two tables of eight here at the WPT National Event in London’s stunning Aspers Poker Room. Herve Decker’s comeback crashed on the rocks as he finally bowed out after making a great run at spinning his way back into the game from just one big blind earlier on today. His was all-in pre-flop against Onise Daneliya’s and couldn’t hit to leave him looking for the cash desk for his £1,235 pay day. Leaping up the ladder in 18th was Darren Mapley, who was very unlucky to exit in 18th. His was massive favourite against Arvin Ravindran’s but an ace came to send Mapley’s head spinning. 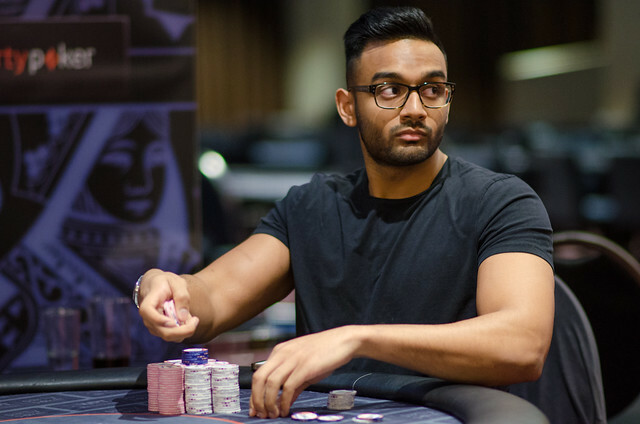 He cashed for £1,410 but lost that 1.2 million chip pot to give Ravindran what we think is the lead (full chip-counts coming in a few minutes as the two tables are confirmed). Mapley played some top stuff all week, so that bad beat will no doubt sting for some time. 1.2 million chips to nothing in one card hurts. Finally, Onise Daniyela (pictured above) raised to 78,000 pre-flop, Will Diep re-popped to over 200,000 but then sensationally, Gareth Holt shoved all-in for 446,000. Only Onise made the call with Diep tank-folding. He was right to get out of the way, as Holt had and that was miles ahead of Daniyela’s . 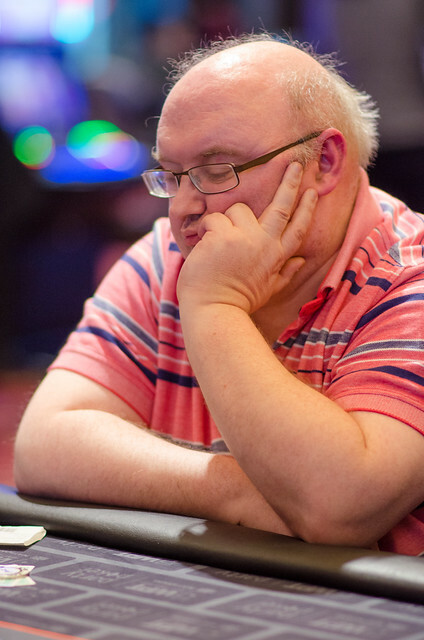 The board ran out to bust the man who was chip leader after Day 2 for £1,410. 16 left in the race for the title, and full chip-counts and table positions are coming right up. Sandra Reid was the only player not here for the very player-friendly start-time of 3pm, so when she arrived, her plan was probably to settle into her seat and work out who was sat at her table, and how to combat their strengths while exploiting their weaknesses. Of course, poker doesn’t work like that, and Sandra was involved almost straight away in a massive, million chip-pot that has given her chances a massive boost. Abdul Miah has played some great stuff this week, and running deep yet again, the Londoner has showed once again his class at the tournament felt. We joined the action after his all-in raise over Sandra’s bet of 200k on the turn was called. The board showed and Sandra turned over just . Incredibly, her pocket pair was actually ahead, but Abdul could hardly be more live with , having both the open straight and flush draws. Sandra faded the whole lot of them on the river, however, to leave Abdul with spare change, which he lost with in the next hand. Bobbie Brummitt called it off with and a dry board meant ace-high was good enough to send Abdul home in 20th place for £1,235. Florian Duta (above) has departed, as have three others. We have twenty players left from the incredible 700+ field here at Aspers this weekend in the WPT National. But who will take it down? Philip Green and Herve Decker were both looking down at micro stacks on Table 3 – and with 22nd-place meaning that they earn a minimum of £1,235, the momentum was with them both to try and double their way back into the game. Herve Decker has doubled an astonishing four times since going down to not even one big blind, and now has 250,000 chips (ten big blinds for a few more minutes) after getting there with the worst of it a good few times! Philip Green was not so fortunate, especially when his couldn’t hold against to bust. He earns that £1,235 pay day, however, and he’s not going to be the only one departing in the next few minutes as stacks have started looking either very strong or very short. blinds are going up…. Three players have busted in as many hands here at Aspers as Level 22 has started like a train. Thang Nguyen departed in 24th when his shove with was called by Yilfer ‘Mr. Bond’ Sheveet ‘s . A jack on the flop did for Thang, who can count himself mighty unlucky. Sheveet punched the air and yelled ‘Yes!’ as the board ran out with him knocking out Nguyen. Florian Duta’s tournament came to an end in 23rd place when he lost a ‘coin-flip’ of A-T against Bobbie Brummitt’s jacks and got the rest of it in pre-flop with Q-4 against Sheveet’s J-4 – another jack coming to eliminate the mild-mannered player in Seat 1. 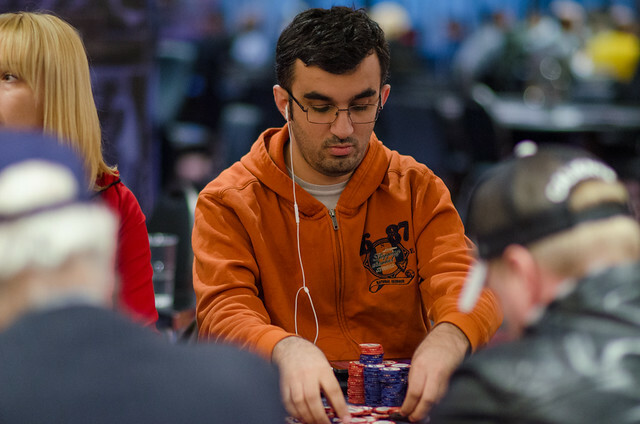 And finally, Rahim Tadj-Saadat (pictured above on Day 2) saw his dreams of the title die as he shoved for 200,000 into a re-shove by Andrew Badecker with . A double-paired board saw Badecker’s ace play and bust the jovial Rahim. Each of the players leaving us between 22nd-24th place win £1,100. Philip Green – down but not out…yet! 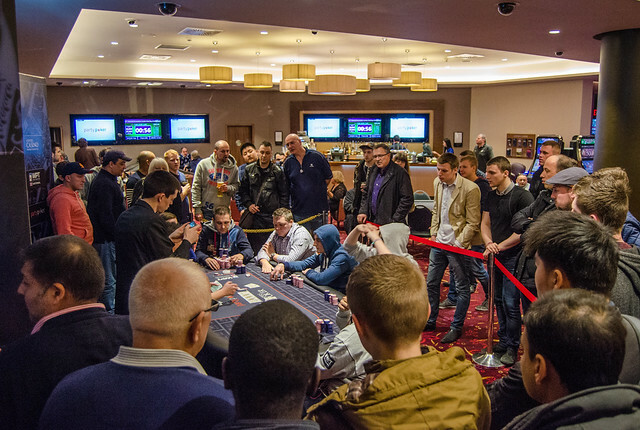 It’s been non-stop since we sat down here at Aspers in the WPT National London. 24 players are left, but no-one wants the next pay-out of just over a thousand pounds – they want the £27,500 top prize. 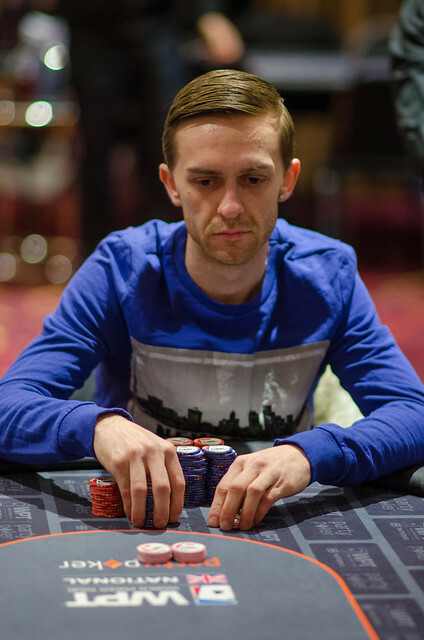 Philip Green has taken a huge hit to his stack and his chances after being all-in pre-flop against Steve Owens. Owens had and was racing green’s . The board played out [Qs to decimate the older gentleman’s stack and boost Owens to around 750,000 – an early double. 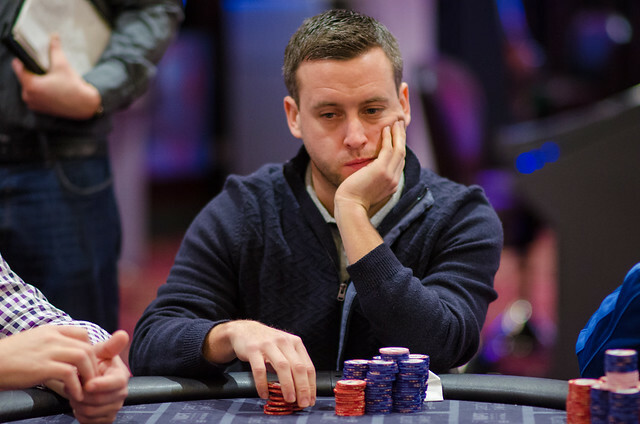 Green has since doubled his 88,000 remaining chips with spiking against James Finigan’s but he still has massive work to do with only 8 big blinds to his name. 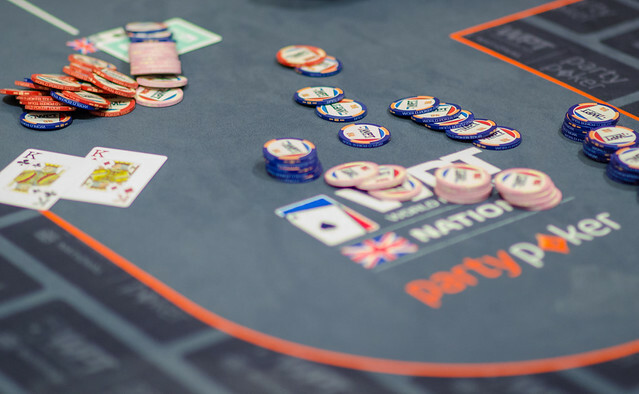 We are getting ready for the kick-off of the partypoker WPT National UK Event here in London, England as 24 players will beging their assault on the title from 3pm. You can follow all the live updates, photography, interviews and much more right here, and if you want to know what happened on Day 2 , then check out the full report here. 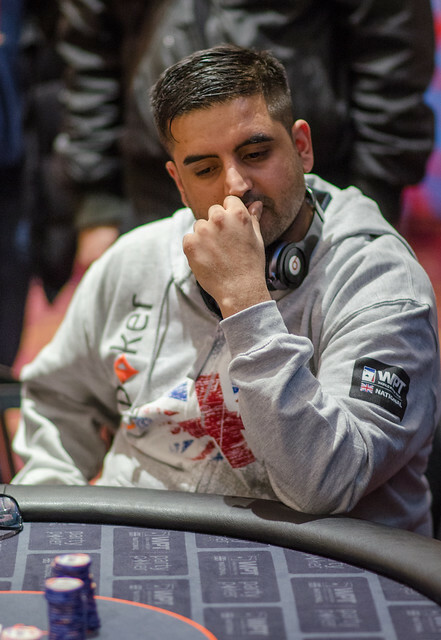 With players such as Daivid Gassian, Abdul Miah and Chaz Chattha gathered to fight for the £27,500 prize, the poker is expected to be of the highest standard when play begins in around half an hour. Now take all of above and go crush it at Pokerfest! Yes that’s right it’s back, bigger and better than ever before! Running from the 2nd-16th March, 2014 Pokerfest is a 15-day online poker series packed with 67 events! And with more than $1 million in guaranteed prize pools this could be your one time! days on Saturday and Sunday. me. He then checked after the other player, expecting me to bet out. I checked. under 6,000. Oh man. Really? Boatman folds, and I’m not happy about this spot. top. And that, ladies and gentlemen, would have really pissed me off. re-raise as he may have had K, 10. But, truth is, I don’t know. dreaded 7, (or the 9 for that matter, but I didn’t think about that one). although I wasn’t too happy about my chip count – a little over 30, 000.
such a ridiculous moustache,’ said one guy opposite me as the poor guy left. ‘Well at least you won’t have to see it tomorrow now,’ said another laughing. Talk about kick a man when he’s down. going to be nothing in comparison, so I’d better get a good night’s sleep. real excitement knowing that tomorrow I stood a good chance in the tournament. tournaments I used to wake up for in Vegas last year. my stack did then push all his chips in, so it may have been to some avail. 1000/2000 he could indeed feasibly be pushing all in with worse. So I called. phone away: there’ll be no happy texts or tweets now by Jove. players at the table – we had finally resumed 9 handed play. I think, becomes tested in this spot more than at any other time in the game. my seat before it was my turn to act. What? Not even a warning! back as many chips as I gave him earlier. I’m amazed when the blinds call her, and she turns over an unsuited Q, 5.
warning? Why wasn’t he over there giving the loud mouth a warning? The fuckar. from 4000/ 8000, to 5000/ 10, 000 to 8,000/ 16,000. The antes were up to 2,000.
holiday, which is the date it takes place. then let us hope I’ll be able to at least pop that damn bubble.